Both your home and your business rely upon quality electrical systems to function. Appliances, commercial machinery, lights, computers and much more all rely upon electricity to work and this means that your electrical supply is one of the most important features of your home or business. For this reason, it is vital that you take the necessary steps to ensure that your power supply is up to the challenge of meeting your electrical needs, commercial or otherwise. Doing this is not always easy however and it is certainly not something that you should try at home. Electricity is inherently dangerous and it is in fact illegal to undertake electrical work without the relevant licences and qualifications. Even these, however, are no guarantee of quality and there are plenty of electrical tradespeople who simply do not complete their work to the same standard of quality as others. This is why it is important for you to find reputable and experienced electricians if you are planning on upgrading, maintaining or fixing any electrical work around your home. Because electrical work is necessary in commercial and domestic settings alike, it is important that you consider your electrical needs before committing to an electrician. 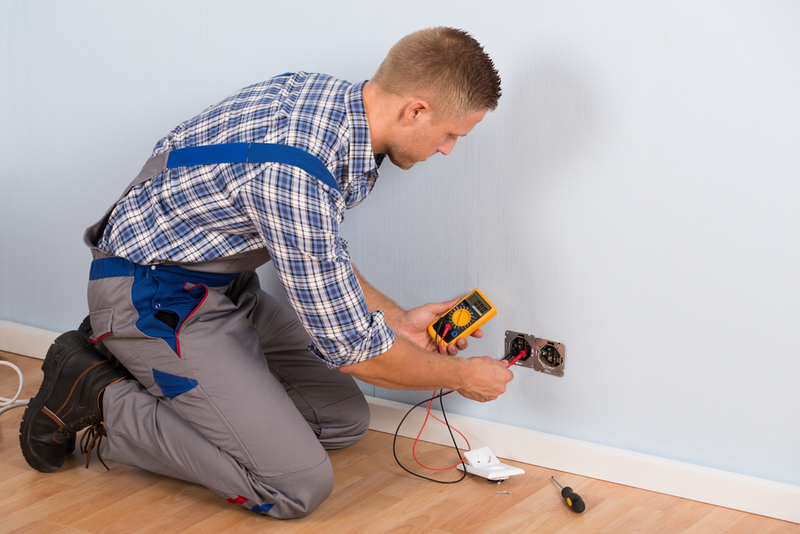 Some electricians do not have the right tools or experience to take on large-scale commercial jobs, whilst other electricians are not familiar with smaller scale domestic electrical work. Probably the most important thing is to find a good balance between the two. This involves locating reputable electricians who have demonstrated their dexterity in a diverse range of electrical fields. To those without a great deal of experience in electrical trades it can be easy to assume that all electrical work is the same – after all, electricians seem to possess the same qualifications in most cases. In reality, this is simply not true; some types of electrical work involve dealing with relatively basic domestic fittings, whilst other jobs require a intricate knowledge of extensive and complicated commercial electrical fittings. Because of this, it is important to find electricians who are familiar with the type of work you need done, especially if that work is commercial in any way. Perhaps the most obvious distinction between regular electrical work and commercial electrical work is the complexity of the electrical systems in question. Domestic electrical systems are quite similar, as houses are generally wired according to the basic electrical needs of a standard household. Commercial electrical systems however, are wired for very unique purposes and are often designed to meet extremely high power needs – particularly in industries that require a great deal of heavy machinery. The practical differences between domestic and commercial electrical work are relatively clear, however there is also a distinct difference between the environments in which the work is conducted and this can have an affect on some electricians if they are not used to it. Commercial electrical work is often carried out on busy commercial sites, where there is a lot of external activity. This can somewhat increase the risks of the work and for this reason, it is important that you choose electricians who are familiar with working in commercial environments. Finally, there is a lot of pressure on electricians in a commercial context to provide effective electrical solutions quickly. Commercial electrical work usually entails some disruption to your business, which means that it will be costing you additional money. On top of this, commercial electricians must take into account the importance of safety and ensure that there is no electrical hazard during or following the completion of the work. As a result, you want electricians who can quickly and effectively solve your electrical issues, without caving to the pressure. For all your electrical needs in Bundaberg, speak to the experts at K Electrical today.